Mother alligator having a rest near her nest. 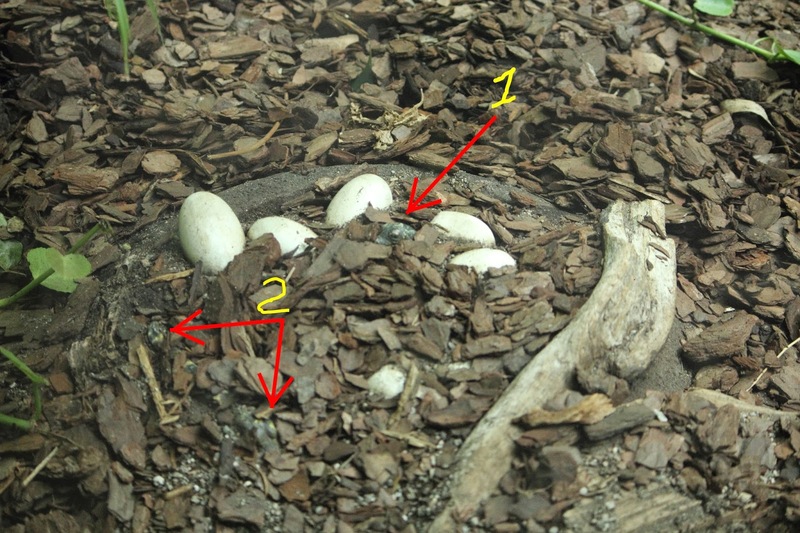 Baby alligators starting to hatch. Babies were hatching and were really hard to see. Do you see the babies? I have pointed out the two that we found. 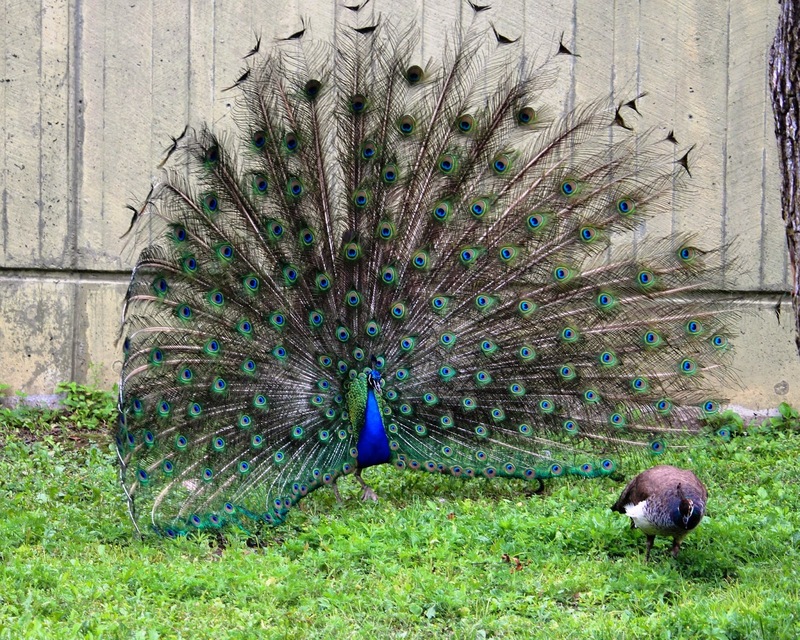 This male peacock started to court a female who seems was not the least bit interested and after a while he got really agitated. Hippo basking in the sun. This big guy was basking in the sun. His skin is red as a red fluid comes to the surface of the skin when out in the sun too long. A secretion of the hippopotamus protects its skin from the sun and bacteria thanks to two pigments that absorb UV light and have antibiotic properties. This is a smaller version of the big hippo and has some different features in the bone structure and the amount of teeth. The pygmy hippopotamus is a small hippopotamid native to the forests and swamps of West Africa, primarily in Liberia and small populations in Sierra Leone, Guinea and Ivory Coast. The pygmy hippo is reclusive and nocturnal. View while entering the Zoo while crossing a small bridge. We went mostly to see the Pandas but they were sleeping as they do most of the time when not eating. Peacocks wander everywhere. This male has quite the head dress.